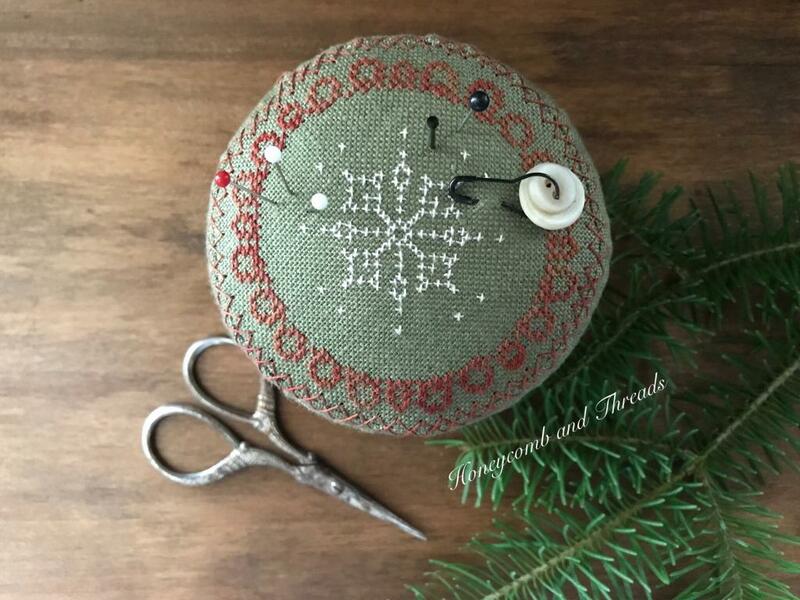 This festive drum is a Stacy Nash design, stitched on a beautiful green linen using overdyed threads. 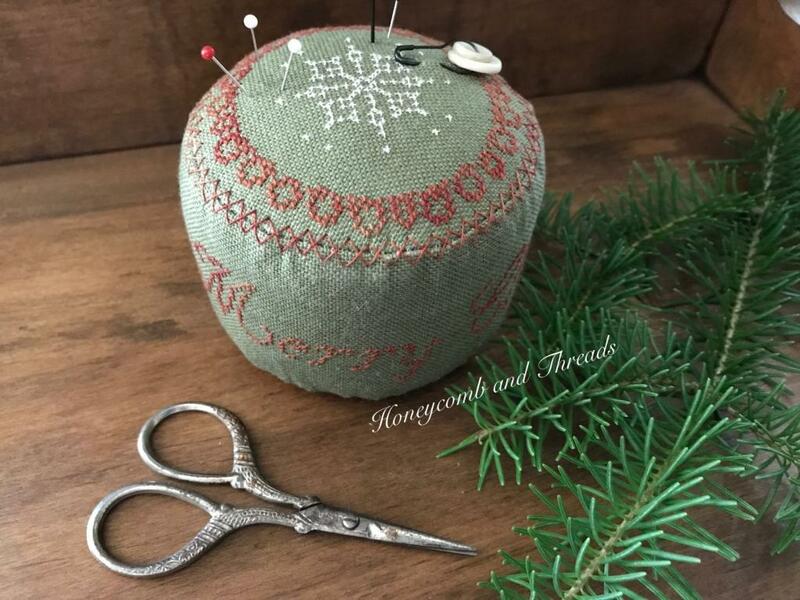 Measuring 3 1/2” in diameter, and 3” tall, it is firmly stuffed with a mixture of sawdust, crushed walnut shells, and lavender giving it a nice soft scent. I’ve added a few antique buttons, and some pins to the top. It comes signed and dated, and travel fare is $8.00. Please click on the photo to see additional picture.